Whale watching cruise: spot the majestic Humpback and Minke whales that populate the waters around Port Stephens during their annual migration (June – October only). Additional cost $30 per person. Please note the whale watching cruise upgrade is conducted instead of the dolphin cruise. 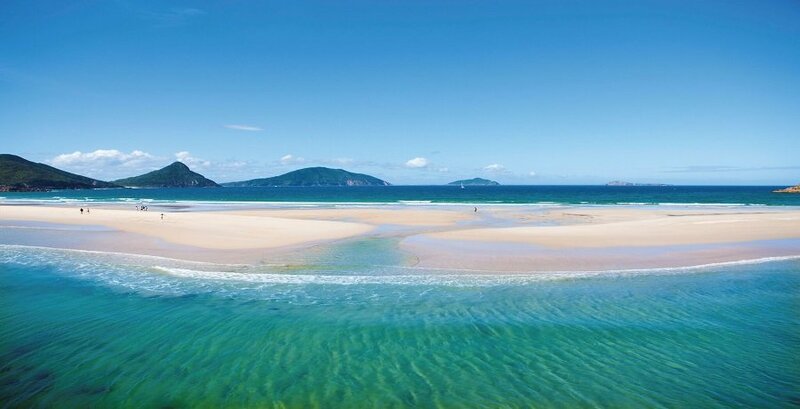 Set just a few hours from Sydney, Port Stephens is the perfect day trip if you want to escape the hustle and bustle of city crowds and experience a slice of Australian paradise while you’re at it. Our day-tour of this part of the world promises 26 breath-taking beaches, a smattering of national parks, and an incredibly colourful marine life that are just waiting to be explored. You can watch dolphins frolic in the impossibly blue waves, kick back on pristine sands, or dive into something more adventurous at take a 4WD trip down huge dunes. The trip kicks off with a journey to Port Stephens, passing over the Sydney Harbour Bridge and the stunning New South Wales coast as we go. 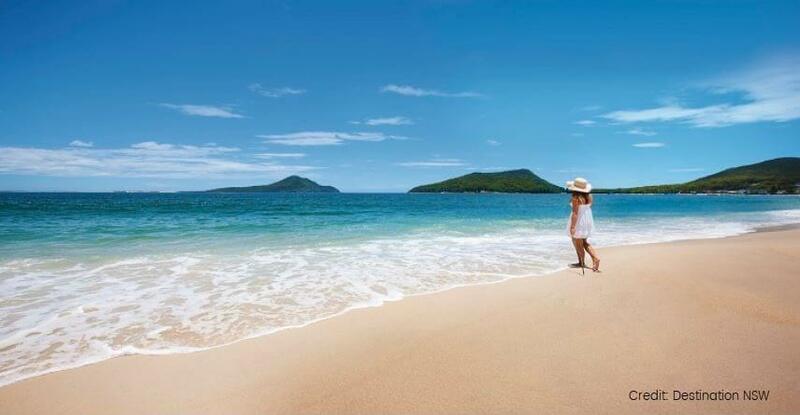 When we arrive, we’ll stop for lunch in the pretty confines of Nelson Bay before browsing the shops. Afterwards, it’s time to see what the area really has to offer with a dolphin spotting boat trip. 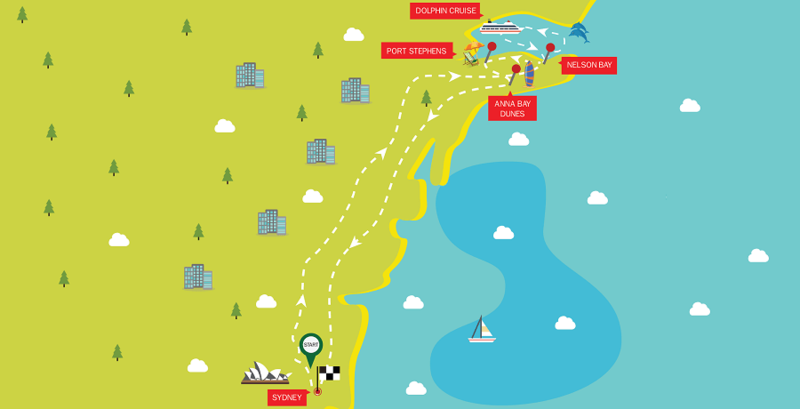 Keep your eyes peeled for the 150 bottlenose dolphins that call this part of Australia home and grab a free tea or coffee to keep you going on the adventure. Choose to view the magnificent creatures from the viewing deck or, for the more adventurous, via the boom net attached to the back of the boat. If you’re traveling during June and October, you’ll be able to upgrade to a whale watching cruise instead of the dolphin cruise. 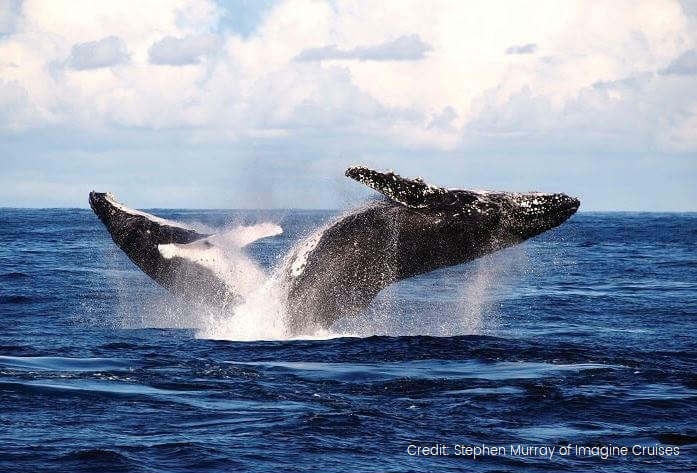 We take you further out where you can watch the annual migration of thousands of Humpback and Minke whales take place. 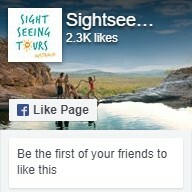 Next, you can either spend some time exploring Port Stephens in your own way. 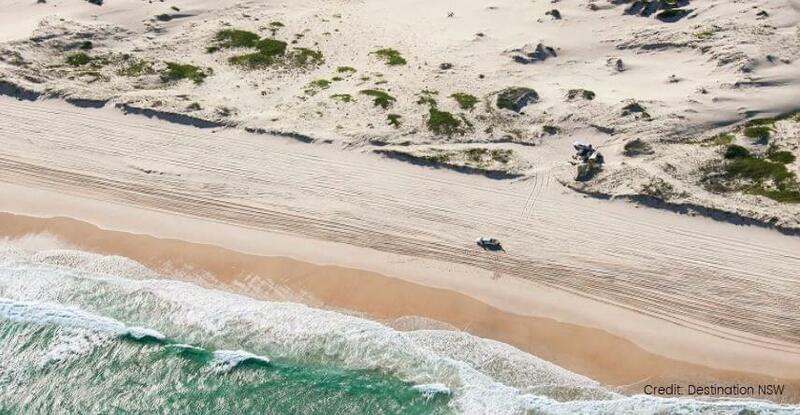 Relax on the beach, take a walk, or go sandboarding, where you’ll take a 4WD over the Anna Bay dunes and fly down the peaks on boards especially designed for the activity. 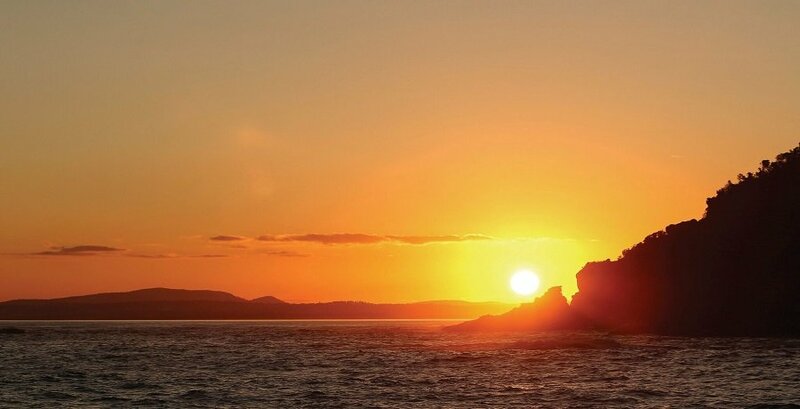 Once the afternoon comes to a close, we’ll travel back to Sydney via the stunning scenery of the coastline. Slowly but surely, you’ll see the glittering lights of the city and its famous attractions come into view after a day spent exploring the wilder side of the area.